Новости виндсерфинга и кайтсерфинга на Кипре. 90’s disco on the beach! 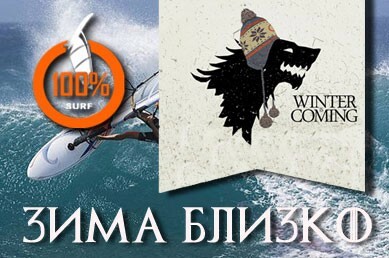 A little about surfing school in Cyprus. This year our club turns 10 years old, and this year we plan to make the holiday, not only for us, but for everyone – who will join us! In the interview we tried to answer basic questions about us. We will be happy to give a detailed answer to any questions that may arise. Contact us in any way you like. Go to the contacts on the link write/call. We are looking forward to all to visit! Anniversary, we are 10 years old! In the new 2019 season, we invite everyone to our school to start riding SUP surfing! – SUP training in 2019 we will provide for free! – December 10, we start skating at 12 o’clock in the afternoon. – December 11, waiting for not only riders but also photographers for a photo / video session. The strongest forecast for the upcoming week! 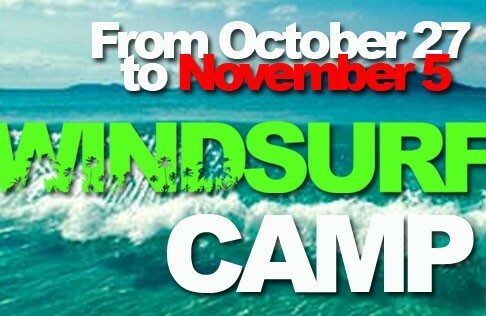 From October 27 to November 5 we windsurf the camp. Please book your participation in advance. 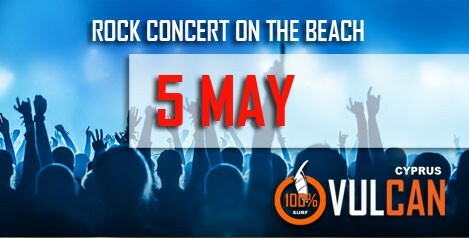 Rock concert on the beach! Everyone loves summer, beach and good music, and if we combine all the ingredients, we will get a portion of the beyond pleasure. 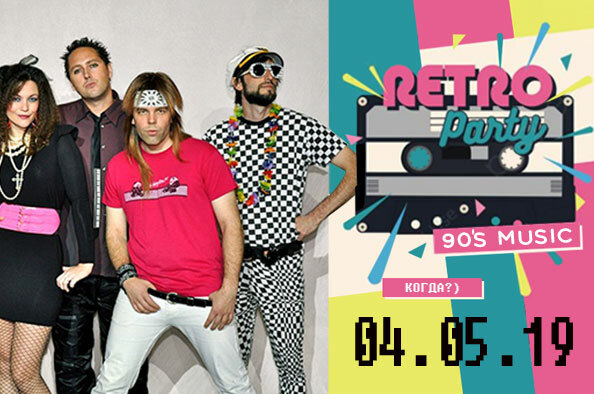 It’s already traditionally in spring we invite a good music band to our club, to the beach. 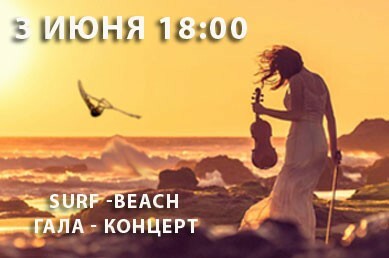 So, on May 5 an unforgettable gala concert will take place on the beach of our club. Presentation will begin at 17:30 and will last until 21:00. During this time there will be a decline, which will also add a good atmosphere to the event. Schedule of May holidays in 2018. All are invited to attend. 1st of May. There will be a meeting of stray souls at the station. Fun eating meat with an entertainment program. 5 May. Gala concert with special guest musicians. 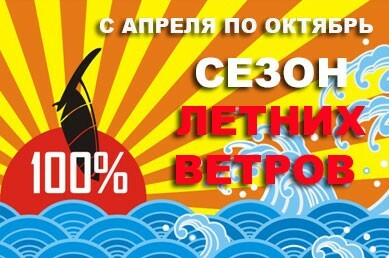 A jam concert will be held, mainly Russian rock will sound. 9th May. While remains a surprise! Our club is open all year round. The wind for windsurfing and kite surfing is always there. The best time for training is the period from April to November. The winter months – the best time for wave riding. Our club leads three camps in autumn. We invite everyone to concert at our station. In the program is a classic, blues and a little rock. Voluntary contribution of 5 euros. 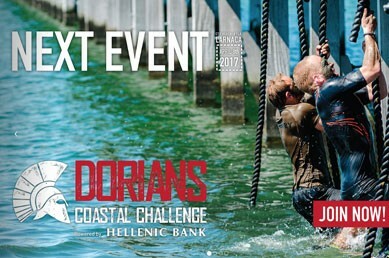 Dorians Challenge is a series of themed obstacle runs and races inspired from the ancient Dorian tribe, Greek mythology and history as well as leading international obstacle course events. It will happen on April 8 on our beach !!! 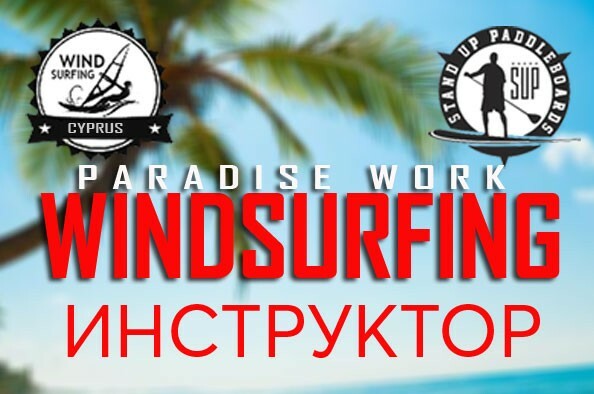 We invite everyone who is ready to ride windsurfing for our team. The wind is guaranteed !!! 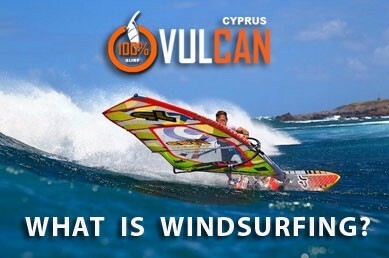 Windsurfing is a combination of surfing and sailing. You stand on a board that is connected to a sail and you move with the wind, by sailing accross it. You don’t have to be strong to try it, you only need to know the right technique! That’s why we are here! To help you learn! 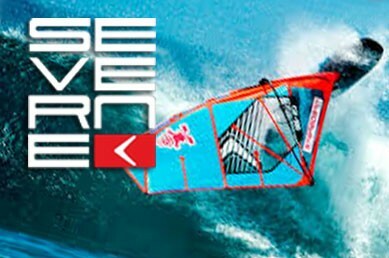 Windsurfing is for all! Women, men & kids! (from the age of 5 ) All you need to know… is how to swim! We have a variety of boards and sails that we use according to the weight of the student and the wind force. Windsurfing is an amazing watersport that gets your adrenaline high! It’s also a great way to exercise since you use almost all your body muscles! And last but not least, it’s a very social sport! You meet new people that share their experience and knowledge. And after a very windy day you sit & relax talking about your windsurfing ride! So, why are you still thinking about it? Excellent forecast for the week! We apologize, but unfortunately the news is not English. March 8. Women’s Day on the Waves! 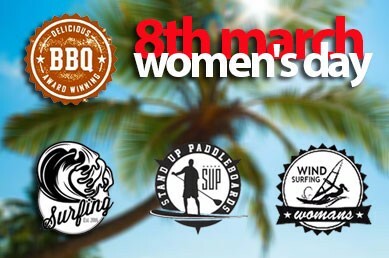 Women in Cyprus are invited to join us for a day of learning watersports or to improve their skills and confidence on the water to celebrate International Women’s Day. 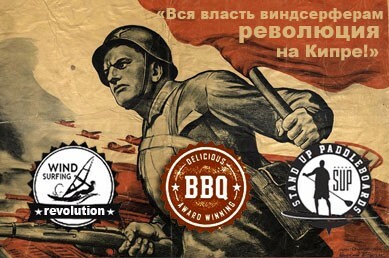 As you have fun on the water, our dedicated menfolk (and yours if you have them) will be preparing a BBQ in your honour. 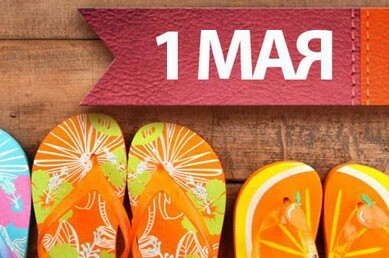 Its a day for women to celebrate and have fun whilst the men do all the work to make sure you have a wonderful day.